I used to tell God my full name, address, phone number, and birth date when I prayed. Because I knew enough things about what the Catholic school told me about God to think that there might be a God somewhere out there, but I didn’t consider in a million years that He would have time to know who I was. I was nine years old then, and I used to give myself headaches and a sense of panic when I tried to think about how infinitely big the universe was and how miniscule I was by comparison. Where did God fit into it all? I didn’t know and it scared me. So I covered my bases when I prayed and tried to sound as appropriately insignificant as I felt, in light of basically everything else. Years later, I used to accuse and yell profanities at God when I prayed. Because I knew enough about what the rest of the world told me about this absentee “Father” the church called “God” to think that if He was out there, and if He was listening, that He should know exactly what I thought about Him. I was fifteen years old then, and I used to give myself headaches trying to figure out the meaning of this life. I believed in God, maybe. I believed in something anyway. But I was angry and didn’t think trust was a thing that happened between God and man. If He was really out there, I felt very much at the mercy of His seemingly unjust whim. So I covered my bases when I prayed and tried to sound as inappropriately pissed off as I felt, in light of basically all of the injustice in the entire world and it’s history. But while he was still a long way off, his father saw him and was filled with compassion for him; he ran to his son, threw his arms around him and kissed him. The son said to him, ‘Father, I have sinned against heaven and against you. I am no longer worthy to be called your son.’ But the father said to his servants, ‘Quick! Bring the best robe and put it on him. Put a ring on his finger and sandals on his feet. Bring the fattened calf and kill it. Let’s have a feast and celebrate. For this son of mine was dead and is alive again; he was lost and is found.’ So they began to celebrate. I fell at an altar under the weight of revelation of God’s goodness, grace, and mercy on my life and wept in prayer as if my very life depended on it. Because I knew that I was wrong, so wrong, but more than that – I knew that I was loved. That I was His. All along I had been His. It didn’t matter what anyone else said or thought about Him. It was my choice, my decision, my inevitable conclusion and ordained first steps in one desperate moment where Heaven and earth really did come together in my life. I was about to turn eighteen and finally gave up giving myself headaches over God. This Jesus story was suddenly my story and while I didn’t (and still don’t) have a neat and tidy theology for how to understand Father, Son, and Holy Spirit, I just knew. I believed. So I covered my bases when I prayed and gave God all that I had to give. Jesus answered, “Everyone who drinks this water will be thirsty again, but whoever drinks the water I give him will never thirst. Indeed, the water I give him will become in him a spring of water welling up to eternal life. I wasn’t much churched when I first began attending a youth group and read the Bible in earnest (earnestly looking for contradictions and falsehoods that is). But God and I certainly had some kind of history even though I was agnostic at best. When I prayed that night at that camp a year later, I didn’t know what would come next. I had a lot of questions. A lot of hurt, broken places in my heart that needed mending and answers. My parents separated when I was eight until just before I turned 10. Their story is their own to tell, but that time left me with a lot of confusion and fear. For a long time, I was afraid of the rug being pulled out from under life, even when it was stable, because what did I know? At nine, I wondered if God even knew who I was in the middle of everything, because we had to move and what if God didn’t know that we’d moved? So I always told Him where I was just in case, not knowing that He was there too, all along. At fifteen I wondered if God even cared who I was or what I felt in the middle of everything because being a teenager is hard and confusing and semi-traumatic. Plus hormones. (Yay!) So I always told God off when I prayed because I felt desperately alone and couldn’t figure out why He remained unmoved, not knowing He was moving me closer to His heart and purposes for my life every day. At almost eighteen I wondered at the greatness and glory of this God who loved me and found me and changed my life. I haven’t stopped praying since – even when I feel small or alone, maybe especially when I feel small or alone. 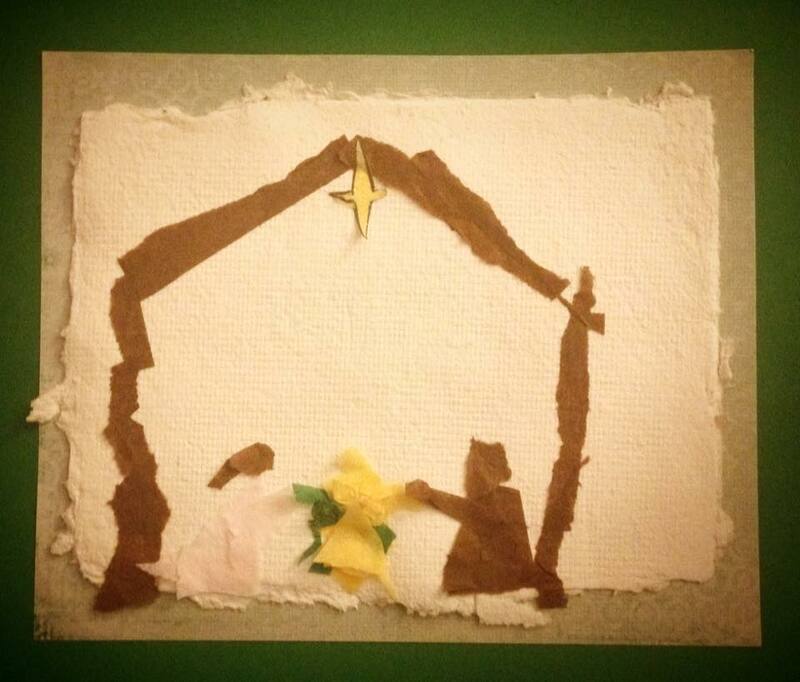 It was the Christmas story where I prayed and found peace with God and my Mom & Dad’s story. When they separated we moved 3 hours away. As they began working on reconciling my Dad would come. Every weekend or every other weekend. He would drive through the mountains and come see us. He showed up. And my mom. Wow. She probably didn’t feel like it, but she was a rock. She did what she had to do and basically saved our family by standing her ground. When the time was right, we all moved back home. My parents are kind of amazing. Christmas is the story of how God shows up to reconcile us to Himself. He became flesh. He showed up. He stood His ground. When the time is right He will bring us back home. He is kind of amazing. When I saw my family’s story in light of the Jesus story, I was floored and humbled that God would use such brokenness to level with me and mend my heart. In all things. That one is so damned hard. I didn’t love Him and I wasn’t called. God couldn’t possibly have had a purpose. There are just some things that God can’t redeem. Why should I love God? How can God be at work in this? So many questions and lies. I had to decide if He was God on paper or God in real life, in the flesh, at work for my good even in the bad. Was He? Could I possibly believe that? Yes. He was. And I do. I keep making that same decision, over and over, every day. God is for me. God is with me. God is good. Even when it burns me up inside and I feel like God has forgotten me and nothing is good, I pray against hell that God will prove me wrong, over and over again as many times as it takes. And He does. He always does. Why do you complain, Jacob? Why do you say, Israel, “My way is hidden from the Lord; my cause is disregarded by my God?” Do you not know? Have you not heard? The Lord is the everlasting God, the creator of the ends of the earth. He will not grow tired or weary, and his understanding no one can fathom. He gives strength to the weary and increases the power of the weak. Even youths grow tired and weary, and young men stumble and fall; but those who hope in the Lord will renew their strength. They will soar on wings like eagles; they will run and not grow weary, they will walk and not be faint. Every year this thing we call Christmas comes and I’m reminded whether I like it or not, whether I’m in hot pursuit or following at a distance, that God became flesh. He became vulnerable and dirty and weak and exposed. Born in some kind of wretched conditions to save a wretch like me. He showed up, born to die. For me. I was worth it. We were all worth it. Worth that much. I can hardly believe it. I’ve never been more glad to be wrong about anything ever in all of life. This what Christmas taught me. Comfort and Joy (to the World).